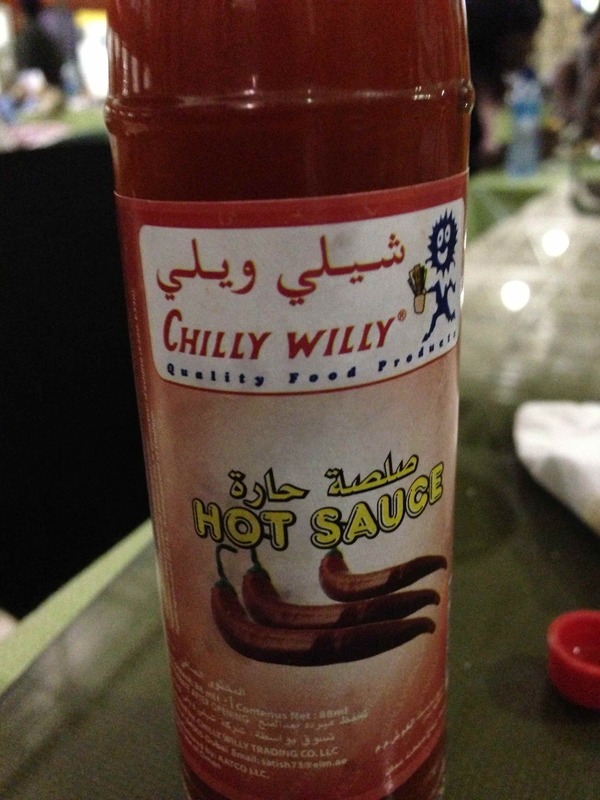 First up is the superb named Chilly Willy hot sauce. Discovered in Addis Ababa, Ethiopia, it’s hot enough for a decent kick, but it won’t blow off your head. It’s ideal for spicing up a bland chicken sandwich at the airport. 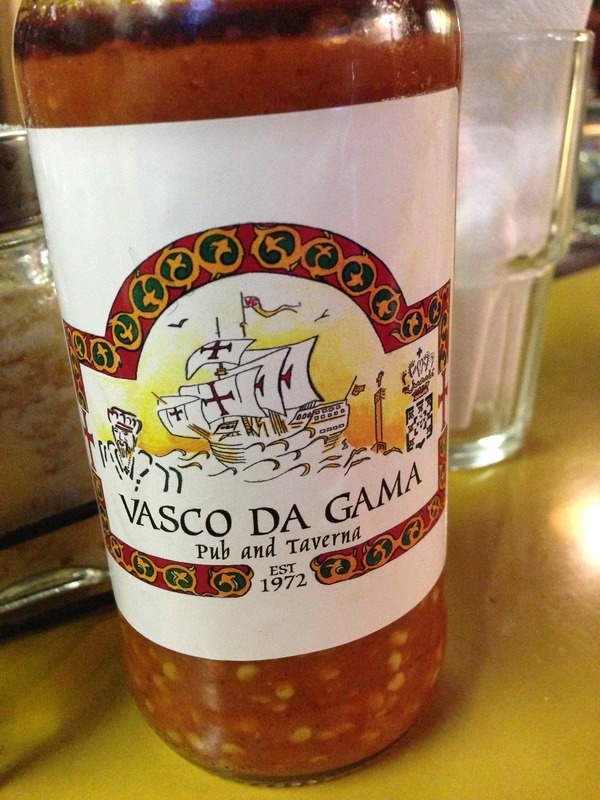 Another sauce a bit further south (Cape Town, South Africa) that is worth a try is the homemade Vasco de Gama chilli sauce. No airs and graces here, but the Vasco is a legendary Portuguese pub-restaurant (3 Alfred Street, Greenpoint. Tel: +27 (0)21 425 2157). Try it with a Prego Roll. And as if to prove that the best finds really are to be found tucked away in obscure places, you can now enjoy genuine German Curry Wurst made in a small microbrewery based on land that was formerly used by the South African explosives company AECI. 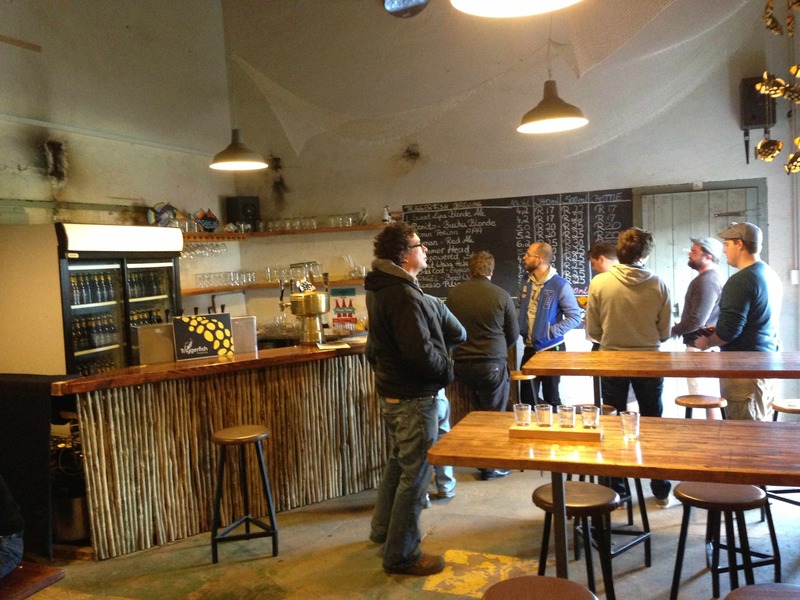 The Triggerfish Brewery (Cnr De Beers Avenue and Broadway Road, Somerset West. Tel: +27 (0)21 851 5861) is not something you stumble across by accident but it’s fast becoming popular and as it’s run by a German couple you can enjoy that nation’s contribution to the curry world for just R45 (a bit less than £3). …but, hey presto, there it is! And not too far from Triggerfish is Sweetwell Butchery & Deli (Sweetwell Farm, near Winery Road, off the R44, the road between Somerset West and Stellenbosch. 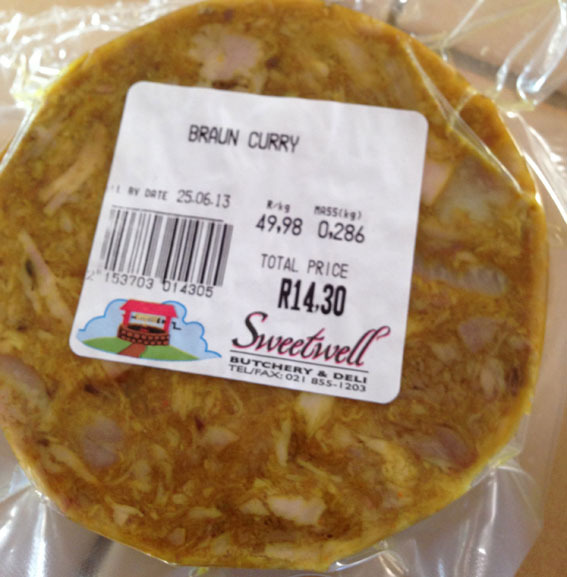 Tel: +27 (0)21 855 1203) is where you will find Braun Curry, which is essentially a spicy, rough mixed pâté. Good with eggs and toast at breakfast time.